The premiere of Better Call Saul on AMC last night was the biggest series premiere in cable history, drawing 4.4 million adults 18-49 and 4.0 million adults 25-54. The second episode of Better Call Saul airs tonight at 10:00 p.m. ET/PT, as part of a two-night television premiere event. The Walking Dead returned for the second half of its fifth season with a mid-season premiere that delivered 15.6 million total viewers and 10.1 million adults 18-49. The Walking Dead remains the #1 show in all of television among adults 18-49. Last night's episode was the highest performing regularly-scheduled entertainment program of 2015. With time-shifted playback added in, this mid-season premiere of The Walking Dead should exceed more than 20 million viewers. AMC also expects to see significant time-shifting activity for Better Call Saul, as the show is opening up a new night of original programming for the network on Mondays. 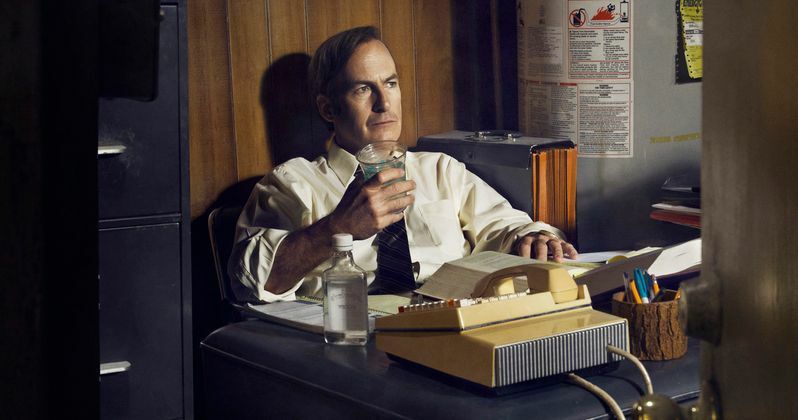 AMC will next release ratings information for Better Call Saul early next week, with the arrival of live+3 Nielsen ratings for the two-night premiere. Also last night, the Talking Dead aftershow premiered at a special time (Sunday 11:15pm - 12:15am) and delivered 2.8 million viewers and 1.9 million adults 18-49. Each week, Talking Dead features host Chris Hardwick and fans, actors, producers and other TV enthusiasts discussing that night's The Walking Dead premiere. The mid-season premiere featured Chad Coleman (Tyreese) and executive producer Greg Nicotero, who also directed last night's episode of The Walking Dead. Here's what Charlie Collier, AMC president, had to say in a statement. "In a competitive environment that sometimes gets as much press as the shows themselves, it is gratifying to deliver programming that breaks through and reaches passionate audiences. For AMC, it starts with the creative talent we are so fortunate to be working with including, among many others - in the order of last night's Unforgettable schedule - Robert Kirkman and Scott M. Gimple of The Walking Dead, Vince Gilligan and Peter Gould of Better Call Saul, and Chris Hardwick of Talking Dead. We are supremely thankful for the talented people who call this network home, and for the fans who continue to make AMC a television destination unlike any other. Walking. Calling. Talking. Humbling." In related news, AMC has released a clip from next week's episode of The Walking Dead, "Them", airing Sunday, February 15 at 9 PM ET on AMC. This scene shows the group hitting the road once more, with Michonne (Danai Gurira) and Sasha (Sonequa Martin-Green) talking about killing a group of "walkers" behind them. Sasha, of course, is still mourning the loss of her brother Tyreese (Chad Coleman) from last night's episode, as she looks to take out her anger and frustration on these zombies. Take a look at the clip below, and stay tuned for more footage from next week's episode.